What is neural network and where can we use it? Many of the recent advancements have been made in the field of Artificial Intelligence, including Voice Recognition, Image Recognition, Robotics using Artificial Neural Networks. These biological methods of computing are considered to be the next major advancement in the Computing Industry. 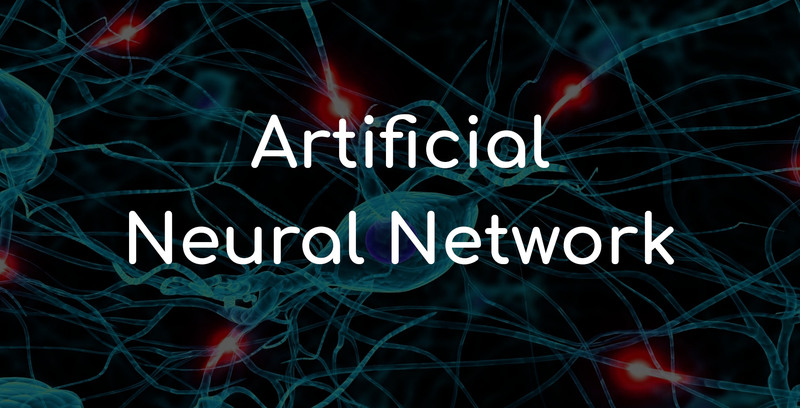 In this article, we will discuss the Artificial Neural Network and its applications in detail. Artificial Neural Networks are the computational models actually inspired by the human brain. An Artificial Neural Network (ANN) is an information processing paradigm. The key element of this paradigm is the novel structure of the information processing system. It's composed of a large number of highly interconnected processing elements (neurons) working in unison to solve specific problems. Like humans, ANNs also learn by the examples. An ANN is configured for a specific application, such as pattern recognition or data classification, through a learning process. Learning in biological systems involves adjustments to the synaptic connections that exist between the neurons. Classification Neural Network - A Neural Network can be trained to classify given pattern or dataset into predefined class. It uses Feedforward Networks. Prediction Neural Network - A Neural Network can be trained to produce outputs that are expected from given input. Clustering Neural Network - The Neural network can be used to identify a unique feature of the data and classify them into different categories without any prior knowledge of the data. Clustering networks - Competitive networks, Adaptive Resonance Theory Networks, Kohonen Self-Organizing Maps. Association Neural Network - A Neural Network can be trained to remember the particular pattern so that when the noise pattern is presented to the network, the network associates it with the closest one in the memory or discard it. E.g. , Hopfield Networks which performs recognition, classification, and clustering, etc. Let’s find why you use Neural Networks? Neural networks, with their remarkable ability to derive meaning from complicated or imprecise data, can be used to extract patterns and detect trends that are too complex to be noticed by either humans or other computer techniques. A trained neural network can be thought of as an "expert" in the category of information it has been given to analyse. This expert can then be used to provide projections given new situations of interest and answer "what if" questions. Adaptive learning - An ability to learn how to do tasks based on the data given for training or initial experience. Self-Organisation - An ANN can create its own organisation or representation of the information it receives during learning time. Real-Time Operation - ANN computations may be carried out in parallel, and special hardware devices are being designed and manufactured which take advantage of this capability. Fault Tolerance via Redundant Information Coding - Partial destruction of a network leads to the corresponding degradation of performance. However, some network capabilities may be retained even with major network damage. Traveling problem – Neural networks can also solve the traveling problem that refers to the finding the shortest possible path to travel cities in a given area. We can use Neural Networks to solve this problem. Genetic algorithm of ANN chooses a city in a random manner each time and helps to find the nearest city. Stock Exchange prediction – The day-to-day business of the stock market is very complicated. Many factors weigh in whether a given stock will go up or down on any given day. Thus, Neural networks can examine a lot of information in a fast manner and sort it all out. So we can use them to predict stock prices since. Face recognition entails comparing an image with a database of saved faces to identify the person in that input picture. Face detection mechanism involves dividing images into two parts; one containing targets (faces) and one providing the background. The associated assignment of face detection has direct relevance to the fact that images need to be analyzed and faces identified, earlier than they can be recognized. Credit card fraud detection reportedly being used by Eurocard Nederland, Mellon Bank, First USA Bank, etc. (Bylinsky 1993). Optical character recognition (OCR) utilized by fax software such as Calera Recognition System Fax Grabber and Care Corporation's Anyfax OCR engine that is licensed to other products such as the popular WinFax. Cervical smear screening system called Papnet 3 was developed by Neuromedical Systems, Inc. and is currently being used by the U.S. Food and Drug Administration to help cytotechnologists spot cancerous cells (Schwartz 1995, Dybowski et al. 1995, Mango 1994, Boon and Kok 1995, Boon and Kok 1993, Rosenthal et al. 1993). Petroleum exploration being used by Texaco and Arco to determine locations of underground oil and gas deposits (Widrow et al.1993). An application developed in the mid-1980s called the "instant physician" trained an auto-associative memory neural network to store a large number of medical records, each of which includes information on symptoms, diagnosis, and treatment for a particular case. After training, the net can be presented with input consisting of a set of symptoms; it will then find the full stored pattern that represents the "best" diagnosis and treatment. Detection of bombs in suitcases using a neural network approach called Thermal Neutron Analysis (TNA) or, more commonly, SNOOP, developed by Science Applications International Corporation (SAIC) (Nelson and Illingworth 1991, Johnson 1989, Doherty 1989, and Schwartz 1989). Portfolio selection and management: LBS Capital Management (US$300m — Bylinsky 1993), (US$600m — Elgin 1994), Deere & Co. pension fund (US$100m — Bylinsky 1993) (US$150m — Elgin 1994), and Fidelity Disciplined Equity Fund [McGugan 1994). Speech recognition network being marketed by Asahi Chemical (Nelson and Illingworth 1991). Predicting/confirming myocardial infarction, a heart attack, from the output waves of an electrocardiogram (ECG) (Baxt 1995, Edenbrandt et al. 1993, Hu et al. 1993, Bortolan and Willems 1993, Devine et al., Baxt and Skora 1996). ANNs have been used to diagnose cancers, including lung cancer, prostate cancer, colorectal cancer and to distinguish highly invasive cancer cell lines from less invasive lines using only cell shape information. ANNs are used experimentally to implement electronic noses. Electronic noses have several potential applications in telemedicine. Telemedicine is the practice of medicine over long distances via a communication link. The electronic nose would identify odours in the remote surgical environment. These identified odours would then be electronically transmitted to another site where a door generation system would recreate them. Because the sense of smell can be an important sense to the surgeon, tele smell would enhance telepresent surgery. Identifying dementia from analysis of electrode-electroencephalogram (EEG) patterns (Baxt 1995, Kloppel 1994, Anderer et al. 1994, Jando et al. 1993, Bankman et al. 1992). Anderer et al. reported that the artificial neural network did better than both Z statistic and discriminant analysis (Baxt 1995). Aerospace − Autopilot aircrafts, aircraft fault detection. Military − Weapon orientation and steering, target tracking, object discrimination, facial recognition, signal/image identification. Electronics − Code sequence prediction, IC chip layout, chip failure analysis, machine vision, voice synthesis. Financial − Real estate appraisal, loan advisor, mortgage screening, corporate bond rating, portfolio trading program, corporate financial analysis, currency value prediction, document readers, credit application evaluators. Transportation − Truck Brake system diagnosis, vehicle scheduling, routing systems. ANNs are often used to make steering decisions of physical vehicles. ANNs have been used to accelerate reliability analysis of infrastructures subject to natural disasters. ANNs have also been used for building black-box models in geoscience: hydrology, ocean modeling and coastal engineering, and geomorphology are just a few examples of this kind. The computing world has a lot to gain from neural networks. Their ability to learn by example makes them very flexible and powerful. Neural networks also contribute to other areas of research such as neurology and psychology. But this is not the end, there is a number of scientists arguing that consciousness is a 'mechanical' property and that 'conscious' neural networks are a realistic possibility. We would like to state that even though neural networks have a huge potential we will only get the best of them when they are integrated with computing, AI, and related subjects.